Protect Pipsell | This precious Secwepemc heritage site could be destroyed by an open pit mine. Help protect Jacko Lake and the Pípsell Cultural Area. This precious Secwepemc heritage site could be destroyed by an open pit mine. Help protect Jacko Lake and the Pípsell Cultural Area. to reform the flawed and inadequate federal and provincial environmental assessment laws and processes, in accord with the UN Declaration on the Rights of Indigenous Peoples. The Ajax Project is a proposed open-pit gold and copper mine located on the doorstep of the city of Kamloops, B.C., on traditional Stk’emlupsemc te Secwepemc Nation (SSN) territory. If approved, the project would irreversibly destroy 1,700 hectares (over 3,000 football fields) of unique and fragile grasslands and waters, which include Jacko Lake and the Pípsell Cultural and Heritage Area. It is the cradle of the ‘Trout Children Story,’ an epic ancestral oral story that connects Secwepemc people to the area and that sustained for generations their laws, culture, customs and practices. It hosts human artifacts dating back 7,000 years, including the only hunting blind complex recorded by the Government of B.C. Archaeology Branch for the Secwépemc Nation. It supports a high biodiversity with red- and blue-listed endangered birds and animals, as well as some of the last remaining grasslands in BC, a rare habitat class covering less than 1% of the province’s area. It is home to over 130 bird species, 90 different medicinal plants, 45 distinct food plant species, and 39 species of animals — 13 of which are used as food sources. 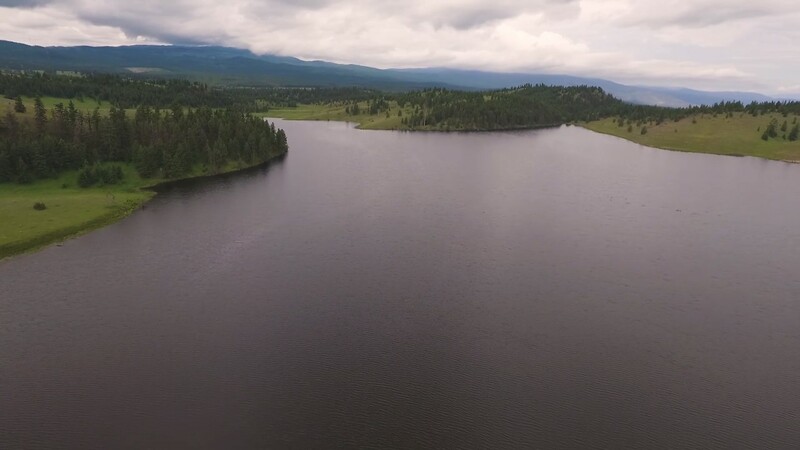 Jacko Lake, named after a Secwepemc ancestor, is a rich and beautiful lake which welcomes thousands of Indigenous and non-Indigenous anglers every year for trout fishing. The site waters feed into Peterson Creek and the Thompson River, home to one of BC’s largest salmon runs. In 2015, the Stk’emlupsemc te Secwepemc Nation (SSN) filed an Aboriginal title claim to BC Supreme Court for the Pípsell area. The B.C. Environmental Assessment Office (BCEAO) recognizes that SSN has “a strong prima facie claim” to the area. The Canadian Environmental Assessment Agency (CEAA) and the BCEAO reviews concluded that the project would have irreversible and significant adverse effects to SSN’s heritage and current use of the lands and resources. When the Stk’emlupsemc te Secwepemc Nation’s (SSN) request for an Independent Review Panel of the project was denied in 2015, the Nation courageously undertook a historic, Indigenous-grounded assessment based in SSN laws, traditions, customs and knowledge. Throughout, this comprehensive assessment integrated Western and Indigenous knowledge. At the SSN Review oral panel hearing in May 2016, more than 80 experts and knowledge keepers shared their findings and over 300 submissions were filed. The Ajax Mine Project in its proposed location at Pípsell is in opposition to the SSN land use objective for this profoundly sacred, culturally important, and historically significant cultural keystone site. Our decision to preserve and sustain Pípsell and Jacko Lake is for the long-term benefit of all Canadians, ensuring the future enjoyment of this special place serves to further reconciliation, so that we may all be great and good. SSN’s assessment concluded that the mine would negatively impact air and water quality and irreversibly affect the Pípsell Cultural and Heritage Area. Experts also determined that the project was not viable under current and predicted copper prices, and that it represented a significant risk to investors, governments and the public. Within two months of SSN’s announcement, more than 30 allied organizations in B.C. and across Canada signed a declaration of support for the SSN’s review process and decision. The City of Kamloops also passed a motion in July 2017 to officially oppose the project and reaffirmed its position in August and October 2017. Despite its high level of risks and impacts, the project was never subjected to the scrutiny of an Independent Review Panel. Instead, in 2011, under the Harper government, the Canadian Environmental Assessment Agency (CEAA) decided to subject the project to the less-intensive Comprehensive Study process. In August 2017, while CEAA and BC EAO concluded that the project would have irreversible and significant adverse effects to SSN’s heritage and current use of the lands and resources, it also concluded that the project would not have significant adverse effects to the environment. These conclusions are simply irreconcilable for the Secwépemc Nation. CEAA and BC EAO admit that uncertainties are high and confidence levels are low for multiple predicted impacts of the mine project, including for water quality, water users, air quality, health risks, and habitat losses. The governments of both B.C. and Canada have also recognized in recent years the inadequacies of their respective environmental assessment laws and processes, and the need to fix them to regain public trust and to advance reconciliation with Indigenous Peoples and fall in line with international law and obligations. Under best case scenarios, the 2.7 km² open pit mine would pollute the air with over 30,000 tonnes of dust particles and use 140 billion litres (57,000 Olympic-size pools) of fresh water during its predicted 18 years of operation. The water in Peterson Creek would be irreversibly polluted with selenium, sulphates, arsenic, uranium, copper, aluminium, chloride, and nitrate, with concentrations exceeding B.C. water quality guidelines for the protection of aquatic life. The mine pit would be deep enough to lodge the CN Tower and take over 800 years to fill with water and contaminated mine seepage. The volume of mine waste generated (1.5 billion tonnes) would be enough material to build a 15 metre (50 feet) high wall along the entire Canada-USA border. A dam breach and spill through downtown Kamloops and into the Thompson River would be catastrophic, with significant loss of life and severe environmental and economic damages. Kamloops Physicians for a Healthy Environment Society opposes the Ajax Mine proposal as the models used to imply negligible impacts are not realistic, and health impact reassurances cannot believed. With the B.C. government's December 14, 2017 rejection of the Ajax project, it is no longer necessary to pressure the federal minister of Environment and Climate Change, and the B.C. minister of Environment and Climate Change Strategy.